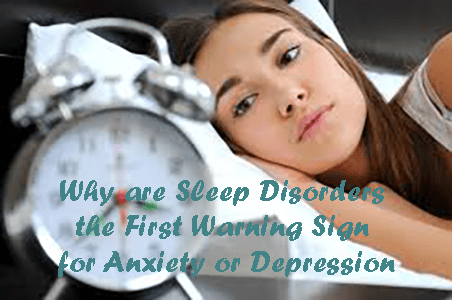 There is a scientific explanation for this and why sleep disorders are so closely related to anxiety and depression. Negative thinking is part of everyone who has anxiety and/or depression. 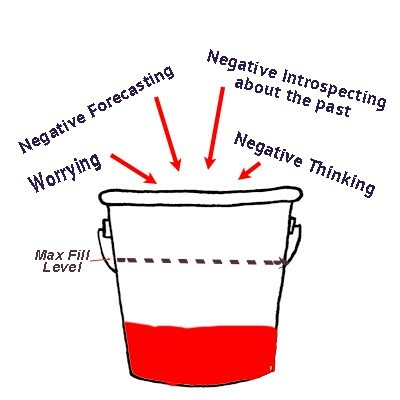 That negative thinking could be negative forecasting about the future, negatively introspecting about themselves, their life or the past, or doing all of them and it is this negative thinking that we convert into anxiety and we store it in what we call the Stress Bucket. 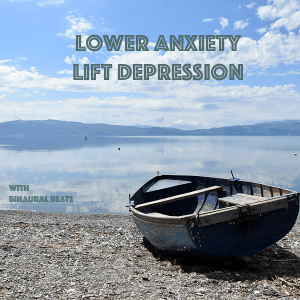 Now, we all need a certain level of stress to get us out of bed in the morning, but people with anxiety and depression are filling their stress bucket up all day, consciously or unconsciously. It is during the REM (rapid eye movement) phase of sleep that you empty your stress bucket. When you go into REM, you start to re-run events of the day and you move things from the stress bucket in your primitive, emotional brain brain to your intellect where you can deal with it rationally and appropriately, it will let go of stuff you don’t need to keep, file away important information as memories, strip out the emotion, rationalize thoughts and put them in perspective. You already know how this works, say you have a bad day at work, you received an email you felt insulted by and you went home bothered and angry with thoughts going round and round in your head about it. You tell your partner about it who say’s don’t worry about it, they probably didn’t mean it like that, but you can’t stop thinking about it and you go to bed that night still thinking about it. During the night, you re-run events, either in clear, or in metaphor which is when you’re dreaming, you move things out of your stress bucket and, in the morning you wake up and have either forgotten about it altogether or wonder why you got so upset. Your brain has put it in perspective. If all this is working OK, you empty your stress bucket every night and wake up ready to start the day with your superpower firing on all cylinders. So what can go wrong? Well, when you overdo the negative thinking you fill up your stress bucket to over your personal Max fill level and this is when problems start. You can’t get to sleep in the first place and you lie away with all the problems in your life going around in your head. Remember, your primitive brain’s job is to keep you safe, so if you have put it on alert with too much negative thinking, it will believe there is some sort of crisis, emergency or danger and has to stay on alert, considering all the possibilities of danger. If you were back in those primitive times and you were out in the jungle, hunting or picking berries and it got dark and you decided to curl up in the grass and have a kip – your brain’s not going to let you do that, it’s going to remind you its dangerous and keep you vigilant. So, if you’ve put too much in your stress bucket, you could have trouble getting to sleep. If your brain can’t get the stress bucket emptied in the allocated time during that phase of REM sleep, it will wake you because it wants to try the process again. When this happens, you wake up, usually wide awake, feeling quite miserable and you can’t get back to sleep easily so you start thinking about all the things which have been ‘on your mind’ again and, guess what?, you put them all back in your stress bucket – well done! You go back to sleep eventually, go through your REM sleep, it can’t finish the bucket emptying stuff and so you wake up again – and so on and so on. It can be an indicator of how much is in your stress bucket as to how many times you wake up in the night. The first time we go into REM is about 60-70 minutes after we fall asleep and REM takes about 10 minutes, so if you are waking up approximately every 90 minutes or so, you have a very full stress bucket. Another sign of the full stress bucket is waking up way too early and not being able to get back to sleep – sooo frustrating, you’re wide awake, but it is too early to get up. Worst case scenario you fall asleep again with an hour to go and then wake up feeling horrible, you should have just got up. Doing the stress bucket emptying REM sleep thing is actually really hard work for your brain. It is four times harder than doing a full days work or writing a dissertation (a good reason for it to be restricted to only 25% of your sleep), but if you are doing too much of it or your brain is working overtime trying to get that stress bucket emptied, you will be exhausting yourself in your sleep and when it is time to get up, all you want to do is sleep again, your brain encourages you to go back to sleep. So, where does this leave you and what can you do about it? 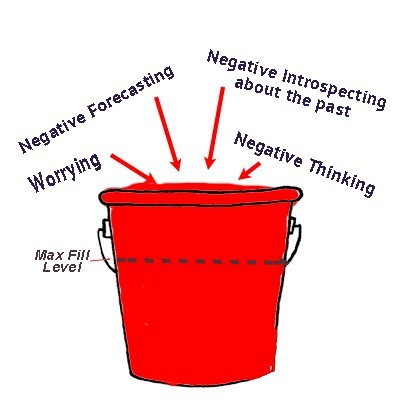 Getting the stress bucket emptied or at least not full to the brim can be helped by using self hypnosis tracks. Hypnosis contrives REM sleep, so if you play a track as you are going to sleep at night, you will get a double dose of bucket emptying REM, first of all the trance and then you will quite probably slip into sleep and have another session of REM. Learning about your thought patterns, becoming self aware of how you are thinking and then learn how to deal with situations in a positive way is a process that we can help you with at Old Town Hypnotherapy. There are lots of blog posts on this site about it or you might like to buy one of the online courses we provide. If you are near a branch, come along for a free initial consultation and understand how you can change how you are thinking about things.